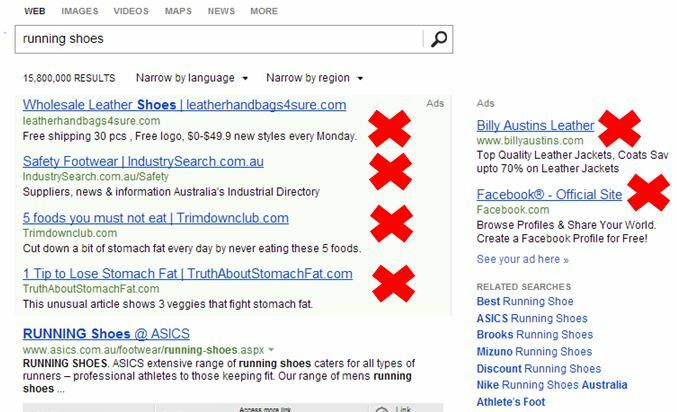 Last week, Bing officially launched it’s Bing ad interface in Australia. 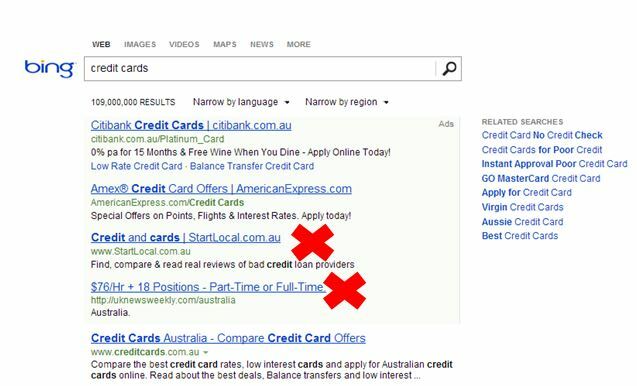 Previously the ads on Bing in Australia were run by Yahoo and were not too bad, let’s have a look how the relevancy of ads is going today on Bing. This is a bit better, but I think it is a stretch to consider that StartLocal results would be what I’m looking for. Interesting to see that the two relevant results for Credit Cards are U.S. companies. Score: 2/4. This flight deals example could be ok if I particularly wanted to go to just India. Score: 2/3. 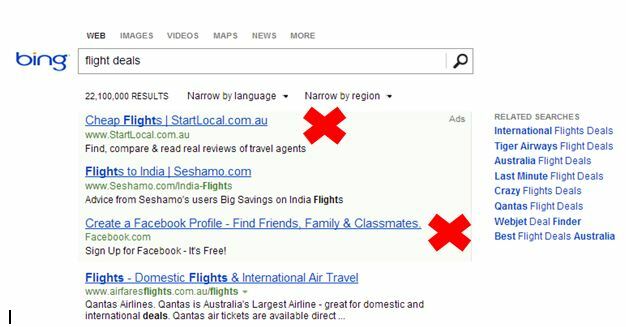 At the top of the page I am given the results I was looking for all along – Cheap Flights from webjet.com.au, jetabroad.com.au and cheapflights.com.au. This would tell me, I should have gone to Google in the first place. 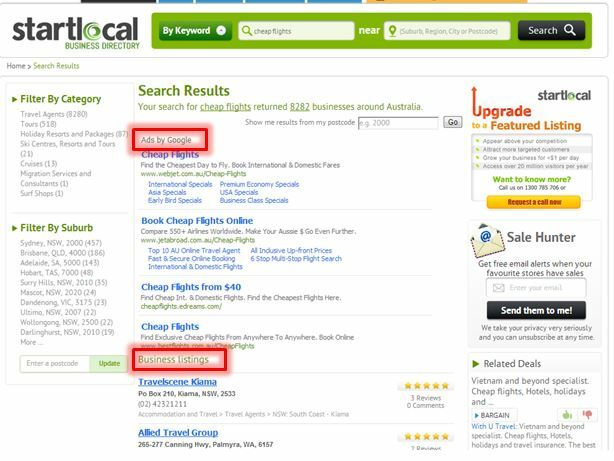 A quick look at the Business Listings on this page show travel agents in Kiama and Western Australia – not exactly local to my Sydney office. – At the moment it seems that the Yahoo search ads which you could buy on Bing were more relevant. It seems there are some teething problems with Bing ads, and maybe I should cut them some slack since they only ‘launched’ last week. – It almost seems that they are allowing ‘content targeted’ text ads on their search results pages (slimming ads on running shoes searches), but content targeting doesn’t really address the needs of the searcher. – A bit of a skew towards US advertisers, maybe because Australian businesses haven’t been caught up yet. Yahoo account managers must not be breaking down their clients doors to tell them to switch their ads to the Bing platform. – Ads for Facebook are sprinkled liberally and irrelevantly through search queries. Well, maybe if you saw those search results for running shoes, you’d give up and go and procrastinate on Facebook too.